If you hadn't noticed (and you really should have by now) good-old-fashioned print publishing is having a rather hard time of it. Ad sales are down, as are newsstand sales and subscriptions. We're a few years removed from the great magazine die-off, but it's still a risky proposition (financial and career-wise) to launch one. It takes a new kind of talent to succeed in this new landscape and, insofar as we're concerned, if anyone's going make it in this upturned, rebooting industry, it's people like Cherry Bombe creative director Claudia Wu. See, Wu is what you might call unique in the world of self-funded, self-run publishers. Having backed into a degree at RISD ("I had no idea what graphic design was," she says), she began her career in earnest at Visionaire and V, learning how to make award-winning, ground-breaking editorial on a staff of 10. After wearing many, many hats in those offices, she got an education in high-profile corporate publishing at Harper's Bazaar (where she met her Cherry Bombe partner, Kerry Diamond). But the regimented system there didn't suit her after a long period of freelancing for The New York Times Sunday magazine, Index Magazine, and others. 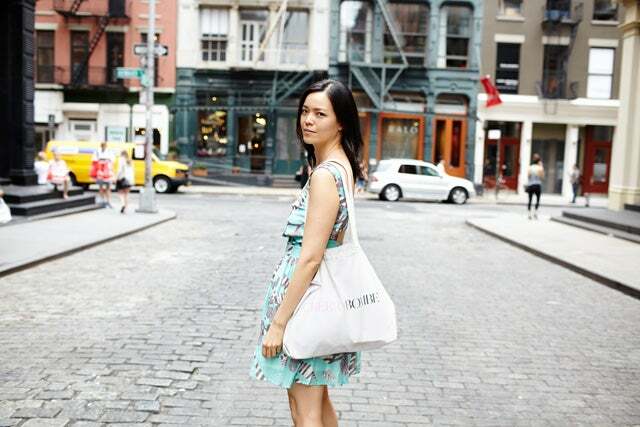 She then founded her own boutique-design firm (appropriately titled Orphan), where she worked with Hugo Boss, NARS, Clinique, New Museum, Organic Avenue, and Intermix, and many others. During this time she founded Me magazine, a unique publication dedicated to and guest-edited by a different creative star every issue (Rodarte, Robert Geller, Mike Mills, Keren Ann, and many others have had their turn). 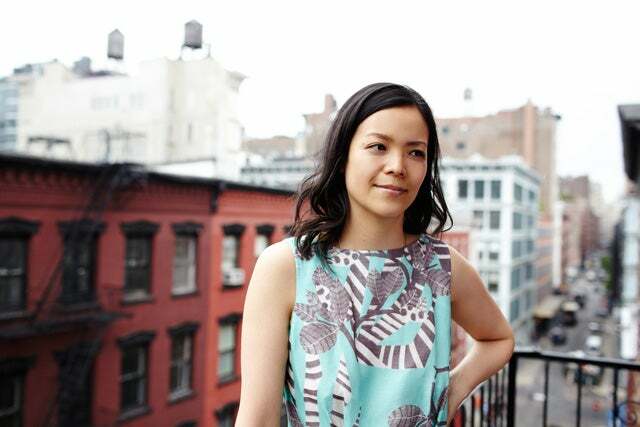 All of this is to say that Claudia Wu has the independent spirit, grit, unconventional perspective, multiple editorial talents, and drive to survive in a media climate that forces publishers to find news ways of reaching audiences and making money. Her latest venture, the fashion-heavy food glossy Cherry Bombe is proof positive. Funded through Kickstarter and featuring Sofia Coppola, Garance Doré, and cover star Karlie Kloss, it is, as Wu says, a new mix of "sustenance and style." We visited Wu's studio (which doubles as Cherry Bombe HQ) to talk about her unique path, the perils of publishing today, and why a foodie-fashion mag is an idea whose time has come.